Wendy Veatch, PA-C is a Certified Physician Assistant and a Certified Athletic Trainer. Wendy is a member of the National Athletic Trainers Association and the American Academy of Physician Assistants and is currently a PA-C for Dr. Barber. Wendy has clinical experience as an Athletic Trainer for the Pan American Games covering U.S. women’s volleyball and completed a fellowship for the U.S. Olympic Training Center where she also served as an Athletic Trainer for the Olympic games in Athens, Greece covering U.S. men’s and women’s swimming. 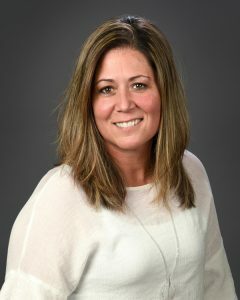 Wendy was the Associate/Assistant Athletic Trainer to the University of Colorado women’s soccer and ski teams, and also assisted with the University of Colorado’s football rehabilitation programs before joining Plano Orthopedics in September 2008. Wendy was born and raised in Topeka, KS and moved to Texas where she enjoys spending time with her two sisters and their families. Wendy also enjoys sports, swimming, snowboarding, running and has participated in 4 sprint distance triathlons, 5k’s and even spent time in Hawaii learning to surf.